Two thousand twelve was a very hard year. Miscarrying was difficult, but losing Jackie was so painful that I shut my heart off to anything new. When I became pregnant in September, I couldn’t bond. I was too afraid I would lose someone else. I just kept hoping that once he was here, the love would flow. We are thrilled to announce the birth of our son. More love, that’s all we needed. Beautiful name beautiful family so happy for all of you!! So so happy for you all! I have been watcing my computer all day, you would think I was having a baby, LOL. I am greatful that he is here and healthy! CONGRATULATIONS to the Spohr family! And welcome to the world, Baby James. So incredible over the stars and sun and moon in happiness for you!!!! Can’t wait for Annie to meet James!!! Congrats!!! Congrats, Spohrs!! Happy Birth Day, James! Glued to the computer, and shed tears of happiness at my first glimpse of baby James. Congratulations to your beautiful family, healthy and peace to all of you! Congratulations! A great name and you can tell he’s a handsome boy. Congratulations! Fantastic name choice I’m glad he’s finally here and healthy! Congratulations, what a beautiful photo. Annie will be over the moon! Congratulations. He’s perfect. Glad you decided on a name! Can’t wait to see more pics but love that happiness beaming of you guys is so very evident. And MORE SPOHR!! Congratulations, and great job on the name! I love it! I have two sweet nephews named James (one on each side of the family) – can’t go wrong with a Sweet Baby James! I’m so happy for you!!! Happy Day!!! James Asher Spohr? Nice! Congratulations! Congrats you guys, we can’t wait to see him grow Take care!! Congrats Heather, Mike and Annie! All that thinking about the name really paid off, James Asher Spohr is an awesome name. Congratulations to all of you!!!!!!! yay he is here!! so happy for you all!!!! 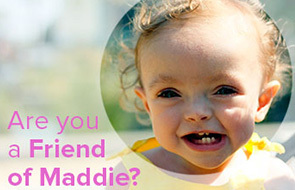 The name fits in perfectly with Maddie and Annie’s name! congratulations! What a beautiful family! Maddie and Annie are very lucky big sisters, and he is one lucky boy. Congratulations! So happy for your family and to see more love and light to fill your lives! Congratulations! I am so thrilled for your family. Congratulations! I’m a frequent reader and a first time commenter. Thank you for sharing your journey – much happiness to you and your family. Oh, he is just as beautiful & perfect as we all knew he would be! Congratulations Spohrs! Well done! So much love to each and ever Spohr. I’m teary-eyed reading this wonderful news! I am so very happy for your sweet family. What a wonderful, classic name! Many congratulations Spohr Family! So so happy for you all! Chills, tears, and goosebumps…what a beautifully written love letter to your son. Congratulations on a healthy boy, with a great name! I’m so happy for you! Congrats! Congratulations!! Welcome to the world, James Asher! You have a wonderful family! Congratulations Spohr family! I’m so excited and happy for you guys! Can’t wait to watch him and Annie grow up together. So much love, to each and every Spohr. Happy Birthday James Asher Spohr! Welcome to the world! And a big congratulations to your family! So thrilled for your whole family, congratulations to you both and Big Sister Annie, and happy birthday James! Congratulations and welcome to the world little James! So happy to hear he arrived safely, he is a beautiful addition to your family. YAY CONGRATULATIONS!! I see I’m not alone in Internet/Twitter-stalking you guys all day to see when he would arrive! Can’t wait to hear more about the birth story. CONGRADULATIONS !! Thank You Jesus for safe a delivery !! Sooooooo happy for you guys !! Congratulations!!!! I’m so happy for you!!! Yay! Welcome to the world, James! So happy you could finally join us! And I’m crying! Oh yay! Welcome James! Congratulations little guy you’ve won the ‘parental lottery’ !!! I love the name James! Congratulations! Yay!!!!! Congrats to you all and welcome to the world James!!! So thrilled for you all. Happy Birthday Mr. James Asher, and Congratulations to the Spohr family! Congratulations! So very happy for you!!! Congratulations. God Bless little James. What a strong, awesome name! Congratulations, Heather. Hope you are feeling OK.
Love the name, love your happy smiles. Blessings on your lovely family this special day! Congratulations to all of you! Happy Birthday James Asher Spohr! Congratulations on your sweet boy!! I love his name! James is one of my favorite boy names…it’s actually my husband’s name! And James Asher is fantastic. Lots of love to all the Spohrs!! So happy for your family! Congrats! So very happy for you. Congratulations! Congratulations to the beautiful Spohr family! Congratulations! The world is lucky to have another Spohr baby in it. Nice job Mom! The Spohrs are multiplying! I can tell that James is gorgeous! Congratulations on the birth of your son. I can’t wait to see photos of him with Annabel! Congratulations! A beautiful name for a beautiful baby! I’m so happy for your whole family! Congratulations!!! Happy Birthday, James! You all are much loved. Congratulations! I’ve been checking on and off today waiting for the wonderful news. We are due in 3 weeks and are naming our son Asher Matteo… So I LOVE the name you chose! Congratulations!!!! Such a beautiful name and a wonderful picture! And more love is what he will bring. Congratulations Mike, Heather, & Annabel. Welcome to the world, James Asher. Congratulations to my favorite California family! I am SO happy for you all. He is so lucky to be in such a great family. Welcome earth-side sweet baby James!! CONGRATULATIONS!!! I love the name so much. Woohoo!!! How wonderful!! So happy for all of you!!! Yay! I totally knew you were going to name him James. I had a weird feeling this afternoon, prayed for you, and then two names came into my head: Henry and James. Congratulations! Congratulations!! I’ve been praying all day for a happy and healthy baby and mommy! Yay!! HOORAY! I have always loved the name James! Beyond excited for your family, enjoy every minute of your new little boy!! Congratulations Spohr Family he is adorable! Man, the love is beamin’ outta that photo! Congrats! Huge congratulations to all of you!! Angel Maddie, Princess Annie, and Prince James. What a beautiful family. Congrats on this joyous occasion!!! A million congratulations! What a beautiful family and such a perfect name. For all that indecision I think you did well! Welcome to the World James Asher Spohr! YAY! Congrats you 3, so very happy for you! Congratulations! Beautiful name. Beautiful son. Beautiful daughters. Beautiful family. So happy for you all! Love his name – congratulations! Welcome to the world Baby James! You are very loved! Congratulations x’s A BAZILLION JILLION. Congratulations – I have been watching all evening! I am thrilled for your family! I cannot wait to hear about Annie’s reaction – I’m sure she is over the moon! Welcome to the world, James – you have an amazing family! Much love and happiness to you! My heart just jumped for joy on your new precious boy! Welcome to the world, already and forever much loved James Asher Spohr!!! Sending lots of love and happiness to you and your beautiful family!!!!! The tears are still pouring – what a precious and heartfelt post to welcome your little boy! Aww Congratulations Mike and Heather. Been following your guys for years and so happy you had this blessed event today!! Thanks for sharing with us. Wishing your family health, happiness & love. Hooray — congratulations! Welcome James! Long time reader, first-time commenter! Congratulations on your precious James! I’m so thrilled that everything went well! Looking forward to hearing about your new love! Take care. Congrats to you and yours. Love his name! I have been holding my breath all day for you guys! Now I can exhale and breathe in the love too. Beautiful family, beautiful boy, beautiful name! Peace be with you. Congratulations!!! A long wait for a beautiful boy!!! Congratulations!! Lots of love to all of you!!! Welcome, James! What a lucky little boy you are to join such a loving family. So glad all is well. Congratulations! So incredibly happy for all of you. Congratulations! He is precious. So happy for your family! Welcome, sweet little James. Joy to your family! Congratulations!!!!!!!!!!!!! Happy Birthing to you all & happy birthday to James Asher! What a lovely name you chose!!! Welcome, welcome, welcome to this spinning world little one!!! We are so glad you’re hear!!!! PS–Now for pix with Annie!!!!! Thrilled for you. Just thrilled. Welcome, sweet baby James! Congratulations to the whole family. Can’t wait to see more pictures. Congratulations! I am so, so happy for the Spohr family. I love the name, and am so glad all finally got to meet the little guy. Heather, Mike and Annie–been reading along since 2009. I am so very, VERY thrilled for you all! Sweet baby James indeed. Love and light. CONGRATULATIONS SPOHR FAMILY!!! OH I am SO thrilled for you all, and what a great name choice! Yay!!!!!! Congratulations! I am so happy for you all:). Love his name! Yay yay yay!!!! I can’t believe how much joy I can feel toward people I’ve never met! SO FREAKING HAPPY for you guys. Your son is beautiful. And his name is perfect. Yay! He’s here! And I love his name! Also: just like with Annabel’s birth announcement post, this totally made me cry. Congratulations! So happy to hear the Acrobat has vaulted into the world safely! Lovely name, too! Congratulations to all of you! He is very sweet and perfect in every way! I can not wait to read the stories and see photos/videos of James. He is one lucky little man. Hope you are feeling alright Heather! Welcome to the world, James Ashton Spohr. We’ve been waiting for you. Love his name! I have my own sweet baby James, who graduates from high school already this weekend! I know you will c:herish every moment with him. Crying tears of joy for you! You deserve the absolute best! May he fill your hearts with happiness despite the tragedy! Congratulations! Yay!!!!!! Congrats!! Tears of joy for all of you!!! CONGRATULATIONS!!!! I am beyond thrilled for all of you! And I love his name! My son is named Asher, and I love it, so great choice on James’ middle name! So so happy for you! Tears of joy! Congratulations on your son!!! Congrats Heather and family! ???? Welcome to the world, sweet baby James Ashton Spohr. Congratulations on a difficult job well done Heather! Woohoo! Made my Friday reading this! Congratulations! What a great name! Congratulations!! Glad you’re both safe and healthy and HAPPY! Congratulations Spohr family! What a great name! I’m so happy for you all, and I can’t wait to hear what Annie thinks of her baby brother! Ooops, yes I did forget that one, and it’s an important one!! Congratulations!! I’m married to a James so I think it’s a pretty swell name. I can’t wait to see more pictures! What a relief to have him safely here! Great job! No more hurling for Heather! Much love to all. It’s 2.55am, I’ve been anxiously awaiting news all day! Do pleased he’s here safely, gorgeous name! My boys middle name is James, vetoed my by husband as a first name! Wishing you a speedy recovery Heather!! Congratulations! YAY! Congrats and wonderful to see such a lovely picture! Many best wishes for all of you in the coming weeks, months and years! I’M SO HAPPY FOR YOU GUYS! I was having a bad day and this little guy has just made it better, I’ve been looking forward to him for ages! Are you going to call him Jimmy? Is James in Jackie’s essence the way Josephine would have been? What does Asher stand for? Is Annie excited? Does Heather feel better? CONGRATULATIONS HE IS PERFECT! Yay! Welcome baby James! So happy for you guys (which feels a little strange since I don’t actually “know” you). What a blessing! A day to celebrate the miracles in life; you deserve all of this new found love. Congratulations! So so happy for you guys! You’ve had happiness, you’ve had heartbreak, yet you two manage to get through it all TOGETHER! What a strong marriage you have and a beautiful family. You’re story is so uplifting. Thank you for sharing! Yippie!! Congratulations Spohr Family! Welcome baby James! So happy for your family And Rockabye Sweet Baby James!! Love!!! Congratulations!! You guys picked a beautiful name. I’m a long time (silent) follower. I’ve been waiting for this post!! Congrats! Yay! He’s here! You’re done! Wahoo!!! Now you just have to get through the next 12 months of wondering when you will ever sleep again! Love the name. Is he going to go by Jamie (Annie and Jamie sound great together)? Congratulations!! So happy for you guys. Welcome to the world James!! Congrats! He is adorable and I love the name you chose. Congratulations! Love his name, very strong and dignified!!! can’t wait to see Annie and James pics!!! James is a beautiful baby, and the name sounds so good with Maddie and Annie! Congratulations to you all!! Hope you recover quickly. All the happiness in the world to you all! Awww. You guys all look great! Congratulations!! I am so happy for your family. James is a beautiful answer to so many prayers….from web strangers like me who want to see more blessings like this in your life. I can’t wait to hear about Annie’s reaction! So so happy for you guys! Congrats Spohr family and welcome to the world James! I have been checking all day for this news. Even though we have never met, my heart is exploding with love for you. Congratulations, family spohr! Welcome to the world Acrobat James Asher you are blessed with your amazing family! May God bless each every day! Much love from NYC! Congrats to all!!! Congratulations to you all! He’s awesome! SOOOO happy for your sweet family! I love, love, love the name. My grandfather was James, as was my dad, as was my first love. I’m a tad partial. Anxiously awaiting more pictures! Congratulations! I have been checking all day to hear the good news So thrilled for you! Love the name! Much love and blessings from TN! Congratulations! He is perfection! Love to you all!! Yay! Yay! Yay!!!! I’m so happy for you all! Congratulations to your family and welcome, James! I am so thrilled for you guys. I cannot think of two people who deserve “more love” more than the two of you. Much love to you, James, and your family – those here in spirit as well as those here with you physically. Congratulations on you sweet new son! That’s wonderful! Congratulations! Great name!! Congratulations! Love his name. Can’t wait to hear how Annie likes having him here. Congrats!!!! Looking forward to more pics of your beautiful family! So happy he has finally arrived safe and sound! I remember how miserable you were feeling at the Baby Bjorn event. Congrats!!! Happy Birthday, James!!! Happy “Birth Day,” Heather and Mike!!! And Happy Big Sister Day, Maddie and Annie!!! I am thrilled for your whole family. Congratulations! Such a beautiful name! So happy for you and hoping you are feeling so much better soon! God bless you all! Pretty sure all your readers just heaved a collective sigh of relief. Been holding my breath for nine months, right along with you. Congrats to you all. Can’t wait to see sweet Annie’s reaction to her new baby bro! Congratulations!!! So glad to hear this wonderful news. Best wishes to your family! Congratulations! James is such a handsome name for such a handsome little boy! Congratulations! Love the name, and so looking forward to the adventures of James and Annie! And love will abound, I have no doubt! Congratulations to you all!! Beyond excited for your beautiful family! Congrats! So thrilled for you all…congratulations!! Congrats! My son turned one today so our boys share a bday! Yeah! I’ve been checking back throughout the evening to see this update! So happy for all of you. James Asher, you have some awesome parents and a sister who if you listen closely will teach you all the ropes and tricks you’ll ever need to know. The way I see it you’re a pretty lucky little fella. YAAAAAAAY! So happy and excited for your family! Congrats!!! Congratulations!!! SOOOOO happy for you! I’ve been checking all day waiting this little guys arrival! Welcome to the world James! You just joined the coolest family ever! You’re one lucky little dude! Congratulations!! I’ve been waiting to hear all day and was so excited to see this post! You definitely deserve more love!! Hooray! I’m celebrating for you tonight! Wishing your family tons of happiness with your new little boy Thank you for sharing your story with us out in the blogosphere – the posts your share about your family are a great example about family love. Welcome to the world James! You’ve been blessed with an amazing family! Congratulations!! So thrilled for you. Yay!! Congratulations to your family!! Hope that boy came out in a Giants hat!! Hooray!!! I’ve been thinking about you all day. Congratulations!! So happy for you all! Congratulations!! So happy for you. SQUEEEEEEEE!!!!! Congrats, I’m so happy for you & Mike! Yaaay!!! Ah, so sweet. Hugs to all, kisses to sweet baby James…congrats to all….such joy! Congratulations!! I’m so happy for you!! Woo hoo!! Welcome baby James. Many many congratulations. I am so very very happy for all of you. May James bring much joy and love to each of you. James is one lucky baby! He was just born into a great family! Congratuation to the whole family. Love his name! Oh! Congratulations Spohrs! What a handsome little fellow! Wishing you a speedy recovery, Heather! What a beautiful picture! I’m so happy for you all. And what a strong, handsome name!! Love it! So excited for you! We are headed on vacation, but I’ve still managed to check your site a few times today! Congratulations! Congratulations and best wishes to all! Now bring on the food! I think you deserve to eat massive quantities of whatever baked good or horrible for you dessert! Congratulations, and welcome to the World, James. Congratulations, Spohr family!!!! I can’t wait to read all about it and see what’s next for your gorgeous family! Congratulations!!!!!! I absolutely love the name! Can’t wait to see pics of the big sister with newest addition! Congrats, Spohrs!!! So happy to hear the news!! Congratulations! Enjoy the new love! Congratulations!!!!! What a treasure for your family! Congratulations!!! Been waiting all day to see his little face. So happy for your family. I can’t wait to see Annie with him and continue to follow your family’s adventures. Happy Birthday James! Welcome to the world!!!! Congratulations Sphor family!!!! Maddie, Annie, and Jamie. So awesome! Congratulations! I’m so thrilled to read this!!! congratulations, spohr family! my heart is so happy! Congratulations! He is beautiful and I can’t wait to hear everything. So so happy!!! Welcome to the world James!!!!!!!!!!!!! Congratulations! So glad everything went smoothly! So, so happy for all of you. How wonderful! Congratulations, Sphor family. Congratulations!! I am so very happy for you guys!! Ahhhh! CONGRATS! I love his name and I can’t wait to her more about how you chose it. My heart overflows for you. I’ve been checking in all day, long time reader and first time commenter overwhelmed with joy for you all. Blessings to you all! Congratulations and God Bless You All! Yay! Congratulations! You deserve so much love. I hope Annie loved meeting her little brother. Ah y’all! So thrilled to “meet” James and see his mom and dad with big smiles on their faces! Hope you are enjoying your first hours with him and soaking him in. Cannot wait to see more pictures. Thank you so much for sharing your joy with us. Much love and smooches to the babe. Congratulations!!!! So glad and thankful that he is here safe and sound. Welcome to the world, baby James! Happy birthday James Asher! You are beautiful and so loved, what a blessing!! Lots of love! Thrilled for you all!!!! I ADORE the name James!!!! You guys should be professional baby namers on the side; you always pick such good ones! Enjoy every minute with your perfect little guy!! Congratulations! Sending my best wishes to your family. Here’s to baby James in all his splendid glory! Welcome to the world little James Asher Spohr! I hope you and mama are doing well. Congratulations!!!!!!!! so happy for you guys on your beautiful family! Your family is wrapped in our love. I am so happy for you guys! Many congrats, and welcome to James! I’m sure there will be no shortage of love in your wonderful family! Congratulations to all of you!! Congratulations Heather, Mike, Annabel and Baby James! I adore his name, it’s perfect. Wishing you lots of love! Congratulations, you guys. Oh, a boy named James. I am just so very happy for you all. I am absolutely sobbing here and Rocco is all, MUM WHAT IS WRONG. And I said nothing sweetheart it’s actually something beautiful. Congratulations! He is beautiful, welcome to the world baby James Asher. Love the name, I have my own 21 year old James and he has been an absolute delight as I am sure your little boy will be too. Please know that I am one of many who have sent whispered prayers and bountiful love to you and your family throughout the years. A new life is cause for celebration, and tears, and laughter and sighs of relief and happiness. May your joy increase with your new son. May he grow strong with guidance and patience and love. May the earth sing a song of welcome to its new son, James Asher. Love and health to you and your children. Congratulations!! Welcome to the world, sweet James! You’ve been preceded by two wonderful big sisters. Congratulations and every happiness to you all! Congratulations!!! I know it’s been a long bumpy road, but you guys did it! Annie must be over the moon about the arrival of her baby brother! Oh I am so happy for you. I was checking and checking. Maddie, Annie and James. What great names. Mazel Tov and welcome to the world. James you are such a lucky boy to be born in such a great family!! CONGRATS, Heather, Mike, Annie, Maddie and Rigby! Mister James is adorable & I am so happy everyone is doing well, safe & sound! You have the ultimate Guardian Angels looking out for you, so that is absolutely right, more love is just what you needed….very well-deserved! Enjoy your beautiful family and know many of us have our collective arms around each of you, okay? Many congratulations to you all! Congratulations! OMgosh…I’m jealous of that newborn snuggle time! Enjoy! YAY!! I am so so pleased and happy to read that James is finally here! Such a beautiful, strong name. Can’t wait to hear about the moment Annabel meets her little brother. Congratulations Spohr Family! Hooray! Such exciting news. So happy for you all! I am so so so happy for you!!! Congratulations!!! And welcome into the world, little James!!! Can’t wait to hear about your adventures with your amazing and beautiful family!!! So incredibly happy for you and yours Sending love from Central Daylight Time… enjoy every single moment of this brand new chapter. Tears! Both of relief and joy. So happy for you all! Happy Birth Day, James! Congrats!! So glad all went well. My boy is Ashton James (Asher was a possibility) and weighed 7lb 15oz. LOL. Congratulations!!! Welcome James to the world!! With your beautiful family, I’m sure you’ll have a blast!! What a great name!!! Congratulations Spohr Family! So happy for you!! Congrats and welcome James Asher! So many happy tears here, I am just SO thrilled for all of you. Beautiful name and beautiful boy. Plus you quoted one of my favorite songs CONGRATS x a million!! Congratulations Spohrs!! I’m delighted to hear of the safe arrival of baby James. Welcome to the world, James. Welcome to the world sweet baby James, you have so much love waiting for you. Congratulations and very well done on the birth of your beautuful son Heather and Mike, I’m sure he is utterly adorable like his beautiful big sisters Maddie and Annie. Thank you for sharing your journey. Mama, Daddy, and Baby James,,,,,,,what a truly beautiful sight!!!!!! Much congratulations!!!!! P.S. Can hardly wait to see big sister, Annie, with him!!! Congratulations to all! Looooooove the name! I was furiously, repeatedly checking the site last night for news. When I saw this post I could finally settle down to sleep. I am so happy for you and your family! Welcome to the world, James! And congratulations to you, Heather, and Mike, Madeline and Annabel, too. I also want to thank you: for opening a door and so honestly letting us on this journey with you. I hope you are feeling well! Started tearing up upon seeing the news and reading your beautiful post and then completely lost it when I saw The Joyous James. Congratulations! He is gorgeous, just like his sisters. Yes, he will bring you joy. And gray hair. And lots of small cars you will say bad words over when you step on them. Now to pass on the tears: go download Ben Harper’s “Beautiful Boy”. It’s my theme song for my boy. Much love to all of you! As I said before, enjoy all the sweet and bittersweet. Maddie and Jackie and your Aunt are around you, in you, part of this moment. Congratulations!!! You were all in my thoughts all day long yesterday. So happy for this news!!! How lovely – congratulations and much MORE love ahead. Welcome to the world James Asher Spohr! Jackie! could not have a cuter namesake :-). ALL THE TEARS. Congratulations to you all! Congratulations Heather, Mike, Annie and Rigby. He looks absolutely perfect and the name is fantastic. Lots of love coming your way. I am so happy for y’all I could sing! He’s adorable! Congratulations! A HUGE congratulations! Love the name! I’ve been following your blog every day for about the past 5 years! You amuse me, make me cry, and make me happy each day. So happy for y’all! There are no words to describe how happy I am for all of you!! Welcome, James!! Congratulations Heather, Mike, Annie and Rigby! Congratulations Sphor family he is amazing!!! James is such a beautiful, strong name for the little guy. Sending even more love and good wishes your way – I can’t wait to see him with Annie! Congratulations, I am so happy for you all. Many congratulations to you all. Welcome to the world baby James, you are going to be so very happy in your wonderful family. Huge congrats Spohr family!!! He looks gorgeous and as the mother of a wonderful James, I commend you on the excellent choice in name! I have never met a James who wasn’t awesome. So happy for you and family! Congratulations!! Welcome to the world James!! Oh.. just no words… but happy tears!!! What a handsome guy! Welcome, James, and congratulations to you, Mike and Annie! So, so, so happy for you!! Congratulations!! Congratulations to all of you! Welcome to the world James- So very happy for all of you! Congratulations! So glad he is finally here. Welcome James. You have a wonderful family. Congratulations!!! He’s lucky to be born to such great parents. Congratulations to your beautiful family! Congratulations! So very happy for you two as parents and Maddie and Annie as big sisters! Love the name. Such a tall drink of water compared to my newborns! Welcome to the world Baby James! Congratulations Heather, Mike, and Annie. He is beautiful! Congratulations Spohr family!! Awesome name! Congratulations to the Spohr family! He is just darling and I love his name!! What wonderful news! CONGRATULATIONS SPOHRS!!!! What a beautiful day!! I’m so thrilled for you all. Welcome to the world James, you are a very lucky boy and will be very loved. Can’t wait to read about your adventures. So wonderful. Love his name, love the happy family photo… so very, very happy for you all!! Welcome to the world, James Asher! Congratulations on the newest addition to your beautiful family! I love his name! It has a royalty ring to it! Couldn’t sleep last night until I’d popped onto your site to see the good news (though I was too bleary-eyed to comment!). I am just SO thrilled for y’all. Welcome to the world, James! Congratulations- you did it! You made it! I am beyond happy for you all. I can’t wait to see pics of the siblings together. MUCH, MUCH love to you. I wish you nothing but happiness; you all deserve it. Congrats! What an awesome name! CONGRATULATIONS!!! So happy to share a birthday with your new little one. All the best! Congrats! So very happy for your family! Love his name. Hope you’re feeling well. Can’t wait to hear about Annie’s reaction when meeting her brother for the first time. Congratulations Sphors! Welcome to the world little man! Can’t wait to read/see more of him! Congratulations!!! So happy for you all!!! I pretty sure there was a huge collective sigh of relief when you finally posted yesterday! I am so glad you are all well and wishing you a speedy recovery! There are no words – just bliss. Pure and unimaginable bliss. Congratulations!!!!!!!!!!!!!!! What a beautiful blessing from God. I am so happy and excited that you have a son to love. Congratulations! Soooo happy for the Spohr Family~ Congratulations and thank you for sharing your journey with us. Happy tears for you guys. And that’s a great name! Welcome to the world James! Congratulations Spohr family! Congratulations Spohr family! My heart is full of happiness for you. And welcome, James! Congratulations! So very happy for you! James Asher is an awesome name! Congratulations to all of you! What a long road it’s been…and now you get to enjoy your new baby boy – James Asher. What an awesome strong name. So happy for you all! What a blessing and an answered prayer! I checked your blog 528 times yesterday waiting on good news. You have been through SO so much…I am so glad he is finally here safe and sound. I know he is surrounded by so much love! Welcome to the world, James Asher Spohr! Beautiful name! Continued prayers coming from Indiana! Congratulations on the adorable addition to your family! Congratulation, and name is perfect! Welcome to the world James! A big congrats to the Spohr family. Welcome to the world sweet boy. Congratulations! I’m so glad he’s here, safe and sound! CONGRATULATIONS! Love the name. You look great with the new addition. I can’t wait to see some pics with Annie. Happy Birthday, James Asher Spohr!! SO very happy for all of you! Congratulations and blessings. A huge congrats!! I don’t post often but have been following your story from the beginning. You two inspire me to be a better parent and to not take anything for granted. I am so happy little James is here! Congratulations Spohr’s! Annie will be a great big sister to little James! Very happy for you all. Congrats to the whole family! Babies are…everything! Aren’t they? Long time follower, first time commenter — just so very joyous about your new addition(with a fabulous classic name that perfectly matches his sisters’ names). Wishing you SO much joy in the coming days, weeks, months, years. so excited for your family. I was like a worried grandma watching twitter all day yesterday waiting for the news! Can’t wait for more pics and to see Annie’s reaction to her baby brother. Congrats!! Love the name. I have a son and grandson James. Jimmy, Jim, James, they grow with them. Jimmy became Jim to me when his son was born Jimmy. But his friends still call him Jimmy. In kindergarten he had a trifold name plate and each day he’d change it to a different one. The teacher thought it was so cute. Congrats to you and your family and little Jimmy, Jim, James, welcome to the world. Congratulations! Welcome to the world little James. Now two of your children can meet. I bet Annie is Sooooooo excited! All the very best. I AM SO ALL CAPS HAPPY FOR YOU!!! Congratulations, Spohrs! Congratulations and a big welcome to James Asher Spohr. You chose such lovely names for all three of your children. Annie must be over the moon. So exciting! Congratulations! I love his name too! Can’t wait to see Annie meet him, I’m sure it will be too precious for words. Congrats! Even though I only “know” you through your blog, I am thrilled for you and your family. Blessings to you all!! And I just have to add that I LOVE that quote. I have only heard it in the Dixie Chicks song (many years ago) but now that you brought it up again it makes me remember how much I like it. Enjoy your sweet new baby! Wonderful! I love the name. whooohoo James Asher Sphor is here and mother is. Congrats to all Sphors!! love the picture. Cant wait for his twitter account to get started. So exciting! Congratulations to all 3 of you! Congratulations to all of you!! And what a great name. A huge congratulations! So much love to you and your family! Congratulations! Blessings to your family. Rest easy while you can. Great name! Congratulations!! Welcome to the world, baby James!! So happy for you all!! Congratulations on a happy and healthy birth! Welcome, wee James!! Congratulations! Welcome to the world Baby James! Yay! What wonderful news for a family that deserves only good things! I know you will all enjoy this newest addition. Welcome to the world, James! Congrats, you guys, you made it this far! Can’t wait to see Annie’s reaction to her new baby brother. Congratulations, Heather, Mike and Annie! Everybody needs more love and you deserve it! Enjoy that new bundle of joy! God bless!!! Beyond thrilled for you and your family! I can see it now, Jackie and Maddie are high five-ing each other on a job well done, mama! Love to all of you coming from St Louis. I’ve been rooting for you! Congratulations!! Looking forward to even more stories of the Spohr clan, now with the addition of James Asher. May you all be well and happy! So very happy for all of you! Best wishes on a speedy recovery! I can’t wait to hear about Annie’s reaction to meeting her brother for the very first time! I hope that all your pregnancy-related conditions (like the non-stop vomiting OMG) vanish just like that, and that your c-section recovery is swift. Beautiful family, congratulations!! Can’t wait to read all of the new baby posts. Congratulations, ALL of you! And welcome little James! What a happy day for everyone. Congratulations! I had a feeling The Acrobat would have a ‘J’ name. I rarely comment, but have been a long time reader, and just had to step out of the shadows to say how happy and relieved I am for you and your family. I can’t wait to follow along the journey and see darling pictures of Annie and James! Many congratulations to all of you. It was a long journey, but so worth it! I think James is a wonderful name. Can’t wait to see all the adventures to come. You did it Heather! Well done!! So very happy for you all. Congratulations!! Can’t wait to see pix. So much joy in my heart! Congratulations! Awww, this gives me goosebumps. Congratulations thank you for sharing. Congrats! Thinking of you on this very special day! So happy for you all! Can’t wait to hear about Annie’s reaction and WAY TO GO ON THE NAME. Trust you guys to select a name where one of the nicknames for his name is the same as HIS INITIALS!!!!!!!!! Hooray,hooray, hooray! What a beautiful photo! Congratulations! I still lurk in here, and was so happy to hear that you were going to have another baby. Now I’m very happy that he is here and healthy. Blessings to all of you and congratulations! Congratulations to the whole family! Welcome sweet baby boy! Lovely name for your sweet baby and huge congratulations to your entire family. More love more love indeed! CONGRATULATIONS! I am so so incredibly happy for you all!! I wish more and more love! Benvenuto piccolo James Asher! I’m very very happy for you all! And congrats to the brave mummy, and to the proud daddy and big sister! this picture made me cry with relief. Congrats to all of you..I cant wait to see more pictures.So happy for your family! Yay! So excited for you all. Can’t wait to hear all about it! So very happy and relieved to see little James Asher arrived safely!! Cannot wait to see pictures of him and of Annie’s reaction! Congratulations!!! As hard as it has been for me to see pregnant women and newborns lately (my daughter was stillborn 3.5 weeks ago at 37 weeks gestation), I am so over the moon excited for your family. Congratulations on baby James’ arrival. Although I don’t comment much I’ve been a reader since 2009 and I feel as though the happiness of your family is as important to me as my own family members. Unfortunately I know I'm not emotionally strong enough to keep up with your blog right now, but I can't wait until I feel ready, so I can keep up with the adventures of the amazing Annabel and her new sidekick James. Sending so much love to you all! God Bless you Robyn! You are in my thoughts and prayers!Sending you Love and Peace! My heart just shattered for you! I can’t even begin to imagine…I know you probably won’t see this, but I’m sending lots of love, hugs and prayers your way! I hope you can somehow feel them! Congratulations on the newest addition to your happy family! Congratulations!! Looking forward to all the stories of Annie and her little brother – Blessings to you guys! Congratulations!!! Beautiful photo. Great name. Wishing you much joy and happiness. YAY! I am so happy that James Asher has come into the world safely! Congratulations!!!! Lovely baby, lovely family. Great happiness to all of you. CONGRATS! I am so so happy for all of you. And excellent name choice, I myself have a four year old James Kenneth we call Jamey. Congratulations!!!! So happy all are healthy and well. I’m sure you know, but Asher means “happy and blessed”–how perfect! CONGRATS – So happy to see he is here. Love the name. You two are wonderful parents from what I can tell from your daily blog :)- he is one lucky little guy. So very, very happy for your family ~ lots and lots of love, that’s all any of us need ~ congratulations!! congratulations!!! can’t wait to see more pics! I am so happy for your family!!!!!Congratulations!!!! Congratulations to all of you – from a long time reader , seldom commenter. Congratulations to all of you! This is the happiest news. Congratulations such joyful news, there really is a pot of gold at the end of your rainbow. As a mother of a micro preemie I can relate to your story. We also spent 97 days in the NICU, and I have say I agree with you about the nurses they were like angels sent down to care for these preemies. Best wishes to your beautiful family.